High in the Sierra Mountains is a small Lilly Pond, only a few humans have ever seen it. Even the animals have a hard time reaching it, due the solid rock cliffs and 9,500 ft altitude. It has no name, but was very important in putting out a lighting caused fire. 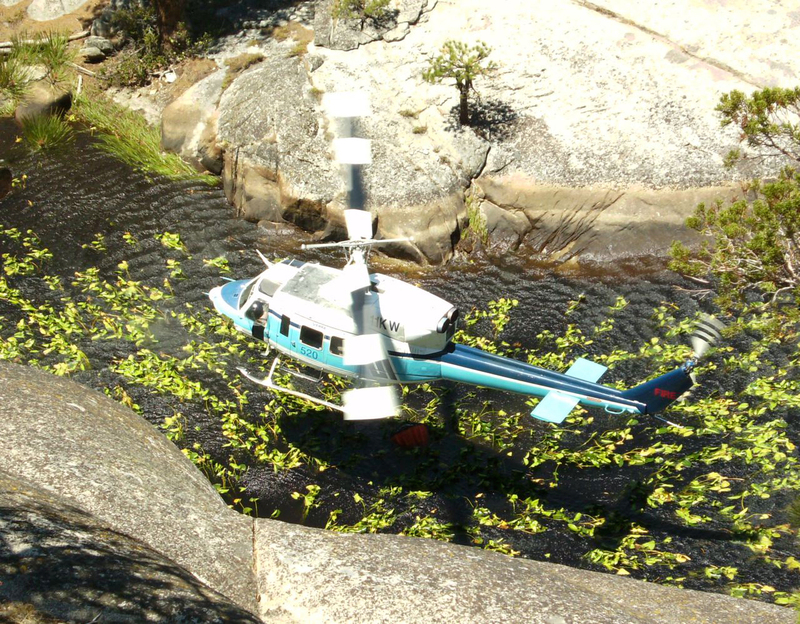 It was a little tight getting in and out with the Bell 212, but with patience I was able to dip 200 gallons of clear high mountain water on each trip. It was very serine going in and out of this small beautiful pond and, as if by magic, the level of the pond never lowered. Perhaps it was spring fed, giving me the water I needed to save its neighbors from the fire. We repelled into the fire and left no clues to our actions that day and turned control of the area back to the Lilly Pond.